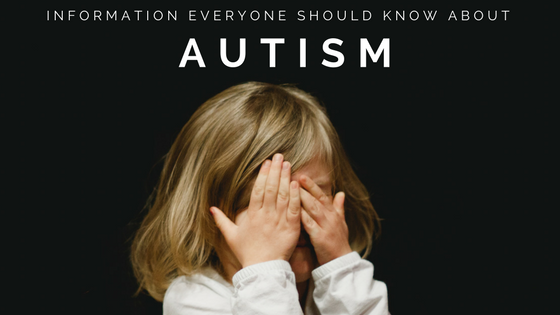 Since April 2nd is World Autism Awareness Day, it is a great opportunity to become informed and aware of the basics of autism and how to support those with it. Whether it be how life is on a daily basis for someone with autism to how be respectful to someone with autism, education is key to understanding this disorder. If you have met or interacted with someone with autism, you have not experienced what all people with autism are like. Generalizing what everyone’s autism symptoms are like will only end in inconsistencies. This is why there is a spectrum when it comes to autism. Some individuals have autism and are high functioning. While some may have severe signs of “classic” autism. In the early stages of understanding Autism, many blamed parents for their lack of engagement and amount of nurture with the child that lead to the disorder. Of course, with better research and insight, parenting is deemed not be the cause of autism. There are some proven factors that cause autism. Infections, metabolic problems, substances that a mother takes during pregnancy, brain abnormalities, and other genetic abnormalities. This does not mean the sooner the diagnosis, the better chance for a “cure”. It means there is a stronger opportunity for better learning and communication skills, less behavioral issues, and an overall more adaptive skills of independence. As well, evidence-based treatments for autism are educational/therapy related not necessarily medical. These therapy-based treatments are best started early, are intensive in nature and based on behavioral principles. It also helps to have parents be an integral part of nurturing social interest. Even though children with autism have difficulty in their basic communication skills, they are still children. Children may need help in communicating their emotions and responses to situations, but they are still children. In some situations, those with ASD grow up and live their adult lives independently thriving in their respected careers while some may need dependent living situations their entire life. No matter where a person with ASD falls on the spectrum, it does not make their life any less valuable. Mental illness can affect your loved one's mood, thoughts, and behaviors. And although it can be challenging to see someone you care about facing such hardship, your love and care for them can often help them immensely in their journey back to positive mental health. While it can be difficult to feel confident in helping a loved one with their mental health, below are some tangible ways to show them the love, care, and acceptance they deserve. 56% of adult Americans do not seek help for their mental health issues. It is important to know that there is no shame in struggling with mental health issues, and this is something that must be voiced to your loved one as they continue on their journey. If you begin to notice that the person is having frequent mood changes, trouble eating, and an increasing desire to isolate themselves, it is essential to make sure that they do not feel judged by you, but rather that you approach them with a sense of gentleness and care. Once you have approached them, it is beneficial to explain to them they are not alone on their journey and that there are caring professionals who can help them back to a state of positive mental health. In fact, therapy has been shown to greatly reduce mental health issues, with treatments ranging from traditional medication to more alternative methods such as psychotherapy. Sometimes, the family member you approach may not be ready to hear what you have to say. Remember, it can be difficult for people who struggle with mental health issues to come to terms with their feelings and behaviors. If the person you approach does not react well to your observation of their actions, remember to show patience and understanding towards them. A person's mental health is not a debate to win but rather a dialogue to enter into for the benefit of the person struggling. 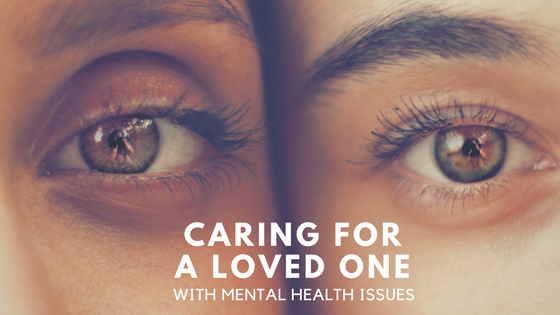 In Psychology Today, Victoria Maxwell writes of the importance of caring for a loved one with mental illness by saying, "Your love, acceptance, and patience [towards a loved one with mental illness] are more beneficial than you will ever realize." Helping a family member with mental illness is sure to be tough on everyone involved, but it is always important to try and empathize with the person suffering from the mental health issues. In the end, it is important to realize that many factors play into one's mental health. Factors such as financial struggles, failed relationships, and chemical imbalance scan all affect the long-term mental health of someone. But the truth is, caring for someone with mental health doesn't mean fixing all of their problems, but instead showing them love and comfort in the times they need it the most. The ability to talk about suicide is a difficult and tricky discussion to facilitate, specifically when it is about a certain individual. Suicide is a situation that can hit a loved one, a friend, or an acquaintance that you occasionally see at work. 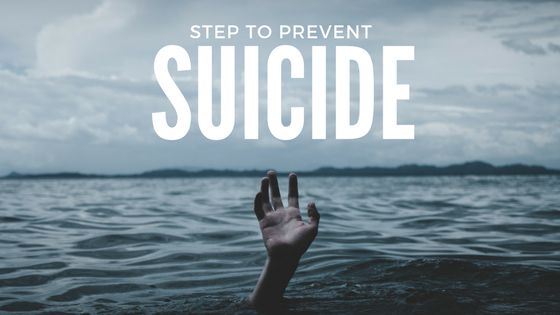 It is important to be informed when a high-pressure situation, such as suicide, comes into your life. There are steps to take to prevent someone from going down a path that they may not be able to come back from. Many times creating a supportive environment for someone is just the thing they need to save them from this decision. Asking someone if they are suicidal may be a bit blunt but it may be necessary for the situation. Start by just asking how they are feeling, that may lead a more natural discussion about their internal issues. Ask the person if they need anything or if they would like to talk. They may push you away but combining a social firmness yet sense of understanding will truly set you up as an ally in their life. If the person does not want to talk, that is okay. Just being there for them, even if they are not talking is important too. Your physical presence and your emotional presence for someone may be all they need. The fact that the person at hand knows that you are available at their need is important. You may be the only person in their life who is willing to be there for them. This is an important step in the de-escalation of a suicidal situation. Subtly take away any risk factors for a suicidal situation. Whether it be removing them from an unhealthy environment or distracting them for the time being. Even taking away resources they could use to hurt themselves is another way to reduce the risk. Once you have managed to get the person in a low-risk state, get them connected to a mental health professional immediately. A professional would be able to properly handle the situation and begin to treat them. For long-term stability, do not make this the last time you speak to them. Continue to be a part of their life and support them in the good and bad times in the future. A friend can be a huge resource for someone who has suicidal tendencies. Every conversation does not have to be about feelings or emotions, it can be having fun times and creating new positive memories together. Mental Health is a term that often gets abused or misconstrued by those who are unfamiliar with the topic. Many times the phrase mental health gets viewed in its most extreme as someone who has schizophrenia or someone who has committed a heinous crime. Yet, mental health is a bit broader and all-encompassing than someone who is extremely mentally ill. It refers to the overall wellbeing of your mind and emotions. 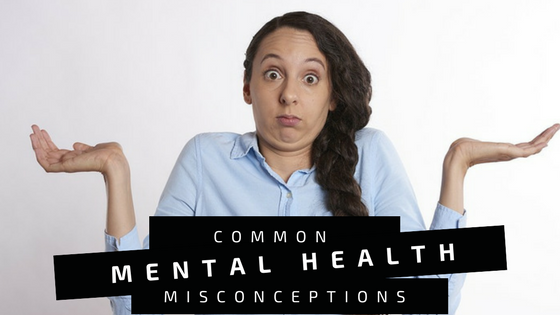 Here are some of the common misconceptions about mental health. Many view mental health as a black and white topic, when it is not. Mental health should be viewed as a spectrum. You can have some smaller issues while not being completely unstable. For example, like physical health, high cholesterol or an ear infection are problems that can be managed. The same idea applies to mental health. Many individuals have periods when their mental health may not be at its best. This is one stereotype that the media has perpetuated. Mental health normally only gets reported on during a mass shooting or during a celebrity meltdown. This puts mental health in a dark, scary light in the public eye. Most people with mental health problems are not violent. The American Psychological Association reports that only 7.5 percent of crimes are directly correlated to mental health symptoms. Many reasons as to why people carry out violent acts is due to poverty to substance abuse. It is not a taboo thought that a child can display early warning signs of mental health concerns. Half of all mental health disorders can show signs before an individual turns 14 years old. As well, 75 percent of mental health disorders start showing symptoms before the age of 24. The sad truth is that many mental health issues are not diagnosed and treated when the begin in adolescents. Many believe that if there is no previous family diagnosis to mental health problems, that you are immune from mental health problems. The truth is one in five American adults experience a mental health problem at some point during their lifetime. Mental health should be treated with the same level of importance as physical health. If you have the flu, you know you need to lie down and rest until you feel better, and that means no work. Your co-workers also probably appreciate you keeping your contagious illness at home, too. Mental illness tends to be seen as personal weakness rather than a physical illness. If employers, and employees, begin to view mental health the same way they view physical health, workers will be better able to perform their jobs with efficiency. 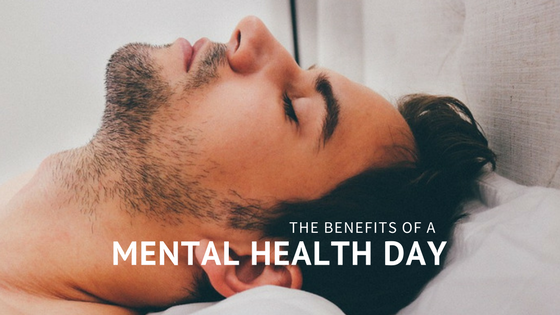 There are some recognizable ways a mental health day can benefit the employer and the employee. If your mental health is being disrupted by a distraction in your life it can be difficult to focus on the work you need to accomplish on the job. The best thing you can do for yourself and your boss is to take a day or two off and handle whatever is getting in the way of your ability to focus. When you can concentrate your full attention on the distraction and get it cleared away you will find that you can function better in general. You will be able to sleep, you will be able to concentrate, and you will be able to do good work. Don't try to squeeze your mental health visits into a long lunch break. Give your appointments the same respect you would give to a visit to a physical doctor. Schedule the time you need with a therapist, or make an appointment to have your medication double checked, and then take the time off work to be able to comfortably take care of that business. Missing one day from work to handle your mental health will keep you from needing to take more days off later when the problem becomes larger. Your mind and body need to recharge just like your phone and laptop. Take a day off every now and then to treat yourself to some relaxation. High-stress levels can cause physical as well as mental illness. Missing one day every few months to take care of yourself will mean missing fewer days overall because you won't be as susceptible to illnesses that are floating around. Recharging your batteries by spending a day away from all of your troubles makes you more productive in the long run. Is There a Relationship Between Mental Illness & Guns? In the wake of the violent, deadly mass shootings that have been occurring across the United States, the American people are begging for a solution on how to lower gun violence and increase gun safety. The politicized topic of gun regulation has been in question for decades but still, no major strides towards a solution have come to the surface. Events such as Sandy Hook, Pulse nightclub, and now the recent attack in the small town, Texas church all add to the list of some of the deadliest massacres our nation has faced. Many are pointing the finger to mental health, claiming that we must implement stronger restrictions to gun access for those who are mentally ill. Is there a direct relationship between mental health and mass shootings? We must first look at the current processes put in place that prevent certain individuals from obtaining a firearm. Regulations vary from state to state so there is no blanket law for gun access. Some states have a waiting period in place while others, like Virginia, can sell you a gun in less than ten minutes. Where many fall through the cracks is during the process of a background check. Stores, in most states, will run a federal and state background check screening for felony charges, individuals who are considered fugitives, or those who have been convicted of domestic violence. A loophole to avoid background checks is obtaining a gun through a private seller. In 39, states, private sellers can sell a firearm without performing a single background check. In terms of mental illness, many diagnoses of anxiety, depression, and ADHD have no correlation to violent behavior. Statisticians and researchers have been unable to prove whether mental illness can be blamed as the cause, nor whether it can be predictive of future mass shootings. One in five United States citizens has a diagnosable mental disorder yet only one in twenty gun homicides are carried out by those with a mental health problem. There are also chronicled stories of Americans with ADHD going through the process of obtaining a gun and going through the required courses to get a carrying permit as well. Yet, it seems that the small percentage of people who are mentally ill seems to be taking the blame politically and socially rather than openly discussing the issue of gun safety. If society and the political ecosystem are going to blame mental illness for mass shootings, we can not amend laws restricting those individuals from obtaining guns. We also can not deprive these individuals of access to proper healthcare. While mental health may be a portion of the problem, there are other strategies we must implement to lower the amount of gun violence in America. For example, when the automobiles were introduced, it took small steps to improve their safety. Seat belts, to car seats, to airbags were all introduced throughout the past fifty years to slowly increase the safety of vehicles. America did not ban cars because they were dangerous, we took measure to increase safety technology, introduced driver’s education, and created federal standards. Like cars, guns are not going away anytime soon. It is our responsibility to not place blame or politicize the subject but to view this problem in America as a public health crisis that needs increased safety measures. It is a universal understanding that work makes you stressed due to tight deadlines, high demands, and never enough time to complete what needs to be done. 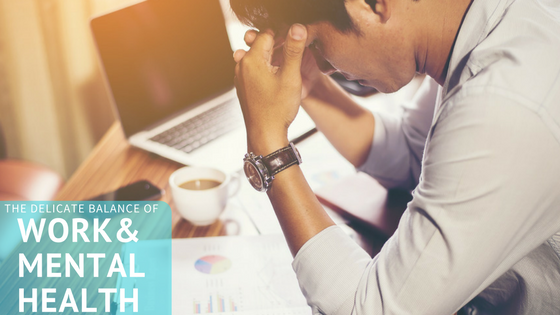 Stress at work can take a serious toll on your mental health so it is important to be aware of how to manage a healthy balance of work and health. Coping techniques and finding ways to keep work stressors out of your personal life can drastically improve your mental health. The younger generation in the workforce is having trouble with their ability to manage both stress and depression. Mashable reported that one in five (20%) millennials in the workforce suffer from some form of depression. This is a much more than previous generations with both baby boomers and generation having 16% within their workforce. Millennials also have a much stronger understanding of the mechanics behind depression and view it more a just “feeling sad”. They view it as a serious disease that can affect not only your personal life but your ability to sustain income. Mashable stated that two-thirds of millennials who are depressed, may not find their symptoms strong enough to keep them at home, it does hinder their ability to manage high volume workloads. There are not many cures to mental health diseases but there are ways to manage them to keep you sane and employed. Even some companies are beginning to find the benefits indirectly addressing mental health with their employees. On a personal level, what you can do is prioritize your mind overwork. An unhealthy mind cannot perform to the best of its ability at work. Take time to see a doctor, therapist or find time to give your health a break and breathe. Work can easily consume your daily life so make sure to step aware when you feel overwhelmed with daunting tasks. Self-awareness is key to identifying an unhealthy mind. Companies can also do their part in addressing this issue with their employees. Many are giving their employees “safe spaces” in order to give employees a place to relax and take a mental break when things get tough in the workplace. As well, managers should be fully equipped to identify and act on employees who are showing signs of mental health problems. Proper training of mental health in the workplace can also help facilitate stronger relationships with employees and give them the opportunity to work to the best of their abilities. Mental health awareness has been a topic of conversation across the country (for the better). As well, the use of online platforms and technological dependence have also been growing in popularity. The world of mental health and technology have begun to merge to give aid to those in different ways. 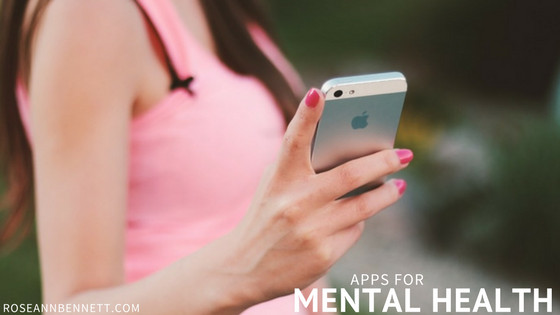 Mental health apps are offering resources to individuals who need more than medication of a weekly visit. This is has become quite popular among individuals who feel overwhelmed at work or in their personal life. It can also be used to help with managing anxiety. This app allows its users to connect with a licensed therapist in complete anonymity. The drive for this app’s popularity is due to the support that many need in between scheduled therapy visits. There are various plan options that range from unlimited sessions for $25 per week to a live video session for $29. It is a great resource for those who need guidance in moments when others are not available. Similar to TalkSpace, Woebot offers chat service at any time. The catch is that Woebot is completely automated. The AI checks in with users to see how they are doing throughout the day. The users can respond and have real-time conversations with Woebot. Woebot offers suggestions, calms users down, or just has a pleasant conversation based upon the needs of the user. This a great resource for anyone who gets stressed easily or has depression or anxiety issues. This app is all about sharing the experience through personal stories. If there is someone you want to get off of your chest but do not want people to know who you are, Huddle is the app for you. You can share a video of yourself telling your story while the entire video has pixelated out your face. It has a feature adjust the amount the video is blurred so users have the option to share their stories of addiction to depression in complete anonymity and begin to slowly un-blur their videos to display their face if they chose to do so. Happify is a service that helps you find your personal happiness. It is driven by science and a service that helps you, step by step, to achieve your personal happiness. It is designed to break old patterns and start new ones. Their mission statement is, “Happify is the single destination for effective, evidence-based solutions for better emotional health and wellbeing in the 21st century. September is Suicide Awareness Month and there are multiple ways to help spread awareness and help others who may be thinking of suicide. There are many reasons as to why someone would attempt suicide but there are resources for them to begin to change their mindset. Here are a few resources to spread suicide awareness and help give resources to others. The first thing you can do within your own social circle is to reach out to people you may know. There are probably people you know who are suffering from depression or thoughts of suicide that you may not even notice. Take the time to talk to others and connect with those who may be at risk. There are a few warning signs to look out for to aid in identifying someone who may be suicidal. One of the biggest warning signs would be them openly discussing wanting to die or to kill oneself. As well, if they post or talk about having a lack of purpose in life or having feelings of being trapped. Increased consumption of alcohol or drugs can also be a big warning sign. These are just a few warning signs to be aware of when looking to help others. A simple way to show that you are a shoulder to lean on or a person to talk to would be to post a status online in support of suicide awareness. Even a simple tweets advocating to reach out if anyone is considering suicide as an option. There are a few graphics below that you can use to be an advocate for suicide awareness. Immediate resources for someone who is suicidal should immediately call a hotline to talk to a trained professional. A great immediate hotline to call would be call 1-800-273-TALK (8255) or text TALK to 741-741. If you are looking for a long term solution, The Center for Assessment and Treatment of New Jersey is an excellent resource for finding a proper diagnosis and treatment for your mental health. Visit their website at https://www.assessmentandtreatment.org/crisis/ to find a supportive team that will guide you through your mental health journey. Is your device really helping you sleep? swipe to be incorporated into our endless data stream. taking your health seriously. The research to support the use of these devices is promising. will present as a significant challenge regarding translating sleep data to behavior. Unlike other health related data, the information we receive from sleep data is secondary. back to the user, can often be misleading, which may lead others to develop a “broken mental model” about their sleep and may not necessarily develop into positive behavioral changes. of data can carry over to meaningful behavioral change. One of the biggest issues facing, not only the current administration of the United States, but the rest of the citizens of the country is the outcome of the repeal and replacement of the Affordable Care Act by the Republican party. President Trump has lead a campaign will the full intent to rid the nation of the previous administration’s attempts of a solution to healthcare. A new bill is in the works that could ultimately cut funding to many areas of health. Mental health funding decreases leave many to worry how they will navigate through an administration that will not fully fund their illnesses or regard their mental health as important. Medicaid is the largest payer for mental health services in America that provides millions of citizens with coverage of their mental health or addiction issues. The newest health care bill that was created by Senate Republicans in June of 2017 stirred controversy among many mental health organizations due to the bill’s proposed cuts to Medicaid. The previous bill provided expansive funding to Medicaid programs that resulted in 1.3 million Americans with serious mental illnesses becoming insured for the first time. The Congressional Budget office has stated on record that the drafted bill would reduce Medicaid spending by 26 percent by 2026 and then by 35 percent the decade to follow. With recent disagreements in the bill, some revisions have been made to boost some healthcare services such as new hospital beds for those who need extreme psychiatric care. This is a small step in the right direction for funding these issues but this bill is nowhere near where the mental health community would like it to be. The reason for the distress in the community is due to the fact that Medicaid acts as a safety net for many Americans who need intensive services and support. Some believe that the repeal and replacement of Obamacare will solve all of the issues within the healthcare system but it is more complicated when said than done. Removing the Affordable Care Act would leave millions uninsured and fending for their own in regards to mental health and other facets of health services. Many Americans felt left out of the drafting process of this bill because it was kept hidden from the public for so long. Utilizing ideas from both parties and listening to what American’s need is what is going to create a bill that best fits the health issues of everyday Americans. 43.8 million Americans experience some sort of mental illness during a given year. It is a vast amount people to ignore that their experience can not be insured or respected as a real problem. With the boom of the social media movement throughout the past few years, there are inevitable pros and cons to the impact it has on mental health. The positive is that we can be connected to so many people across the globe yet the biggest problem is that we are so connected with everyone around the world. Anxiety is an issue that affects millions of people but it may not seem that way for an individual. Those who live with anxiety disorders feel as though they are the only ones in the world who feel this way but they are not alone. According to the National Institute of Mental Health, 40 million adults suffer from anxiety issues.